Filed to: GT-R Done!Filed to: GT-R Done! 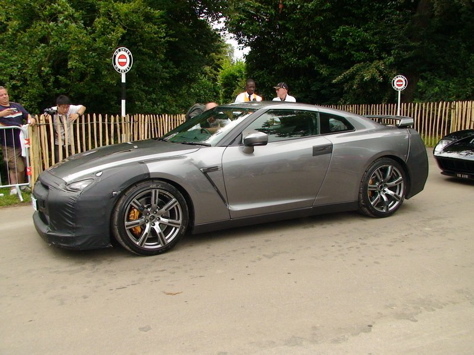 The Nissan GT-R made a quick drive-by at the Goodwood Festival of Speed. The GT-R making the rounds was still wearing the fascia-obscuring black bra, but still looking pretty hot. It'll make an official debut at the Tokyo Motor Show later in the year, but Goodwood ain't a bad way for a test vehicle to spend a long weekend, is it?